The Canadian housed watch making business has been around since 1971 and is headed by designer Ken P. Lau who has been making watches for close to 60 years. They are renowned for producing high quality timepieces and offer a 24 month warranty to back up this claim. Perhaps the most attractive feature about Tense watches is the large range of designs they offer. Not only that, but each design comes in a multitude of woods ranging from American butternut to African rosewood. Established in 2013, Jord (Danish for ‘Earth’) have done a fantastic job of establishing a presence amongst a competitive wood watch market. Capturing the ‘www.woodwatches.com’ domain has signified the aggressive marketing Jord have pursued in showcasing their watches. 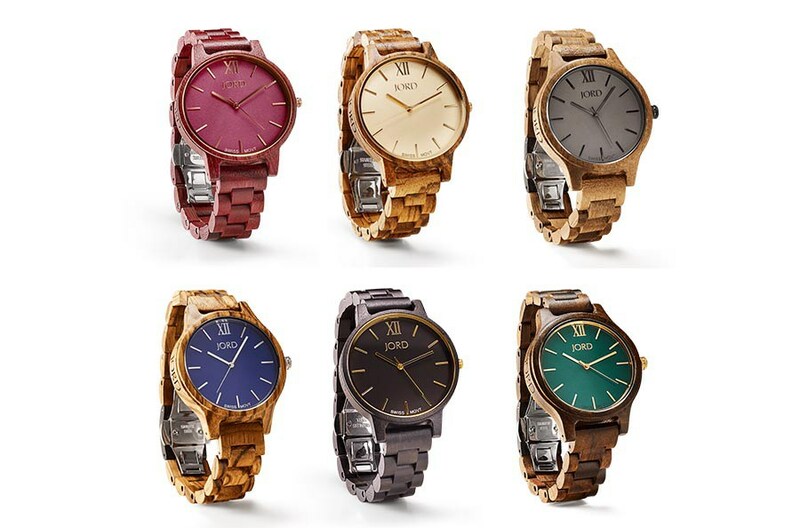 Jord support a wide range of watches that hit the sweet spot between quality and price. Their high end models such as the Reece series, feature premium sapphire crystal glass with Swiss movement. They offer both women and men designs so it’s definitely worth checking them out. Based in Hawaii, with the assembly shop housed in Canada – Martin and MacArthur represent the oldest brand on this list. Established in 1961, the business began as a furniture maker then eventually expanded its range to many other products including wood watches. 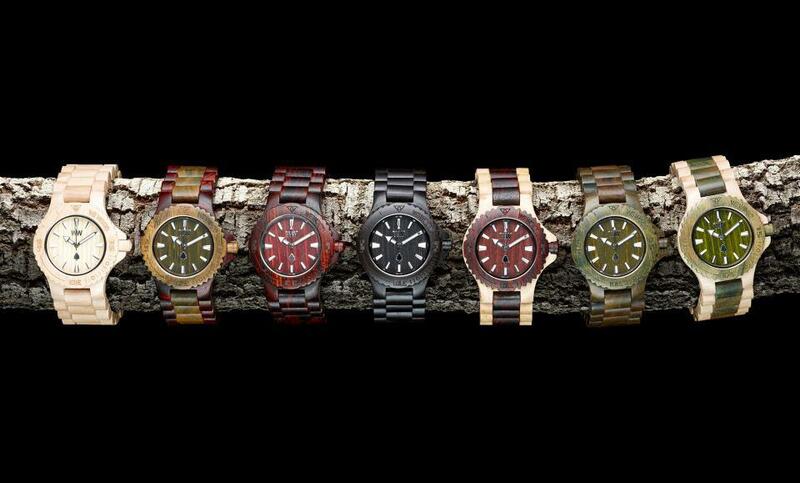 They are known most famously for their Koa watches which use wood from dead or fallen Koa trees on the Hawaiian island. Some of their watches also have a genuine mother of pearl face – a perfect injection of the Hawaiin lifestyle. It took a lot of thought to figure out where to place WeWOOD on this list. On one hand it is easily one of the most popular watch brands and has gained worldwide recognition on websites like Forbes and the Guardian. On the other hand we find that a lack of durability in their watches may be the Achilles heel. Unfortunately it seems to be a more than a rare occurrence for the watch components to fail after less than 6 months of wear. Without sounding too stereotypical, the watches are assembled in China and Indonesia.Despite this, it’s worth considering WeWOOD for their brilliant watch designs that use a combination of modern and classic elements to create a truly unique timepiece. Mistura watches are a representation of the flair and flamboyant nature that is pervasive in South American culture. Their watches are extremely unique featuring bold geometric design with artistic inspired dials – some even including real flowers! They offer a healthy range of watch models for both men and women. It takes up to 85 hours to make one of these beautiful timepieces and it pays off – in buying a Mistura watch, you are getting a beautiful work of art. It’s nice to know that they also offer a 5 year warranty which is testament to the quality of their watches. Original Grain focus on a niche within a niche, their specialty being metal-wood watches. They offer a moderate number of designs for both men and women. It’s worth checking out their flagship watch – the barrel – which has gained much traction over the web for using reclaimed wood from American oak whiskey barrels. The watches are mostly straightforward in design with classically rounded faces and sleek hour markings. On top of this, they also plant 10 trees for every purchase. 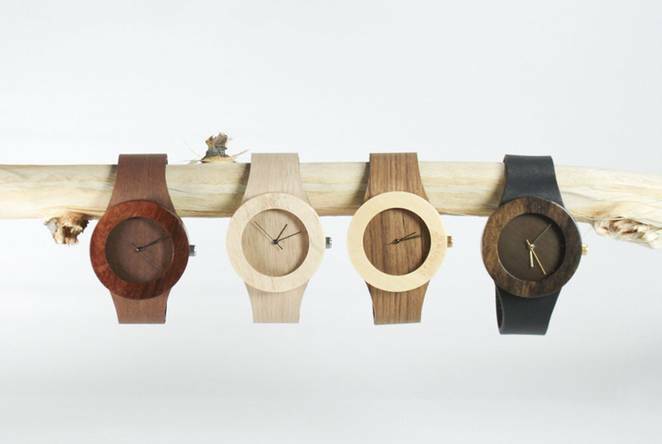 Tree Hut consists of a team of 20 who hand-make watches in their San Francisco studio. The most appealing thing about these watches is that Tree Hut offer an engraving service (at additional cost) for any watch you purchase. They describe themselves as sentimentalists and want you to feel the same way. Their watches feature one of the most basic designs across all wood watch brands – a classic round face with a minimalist dial. 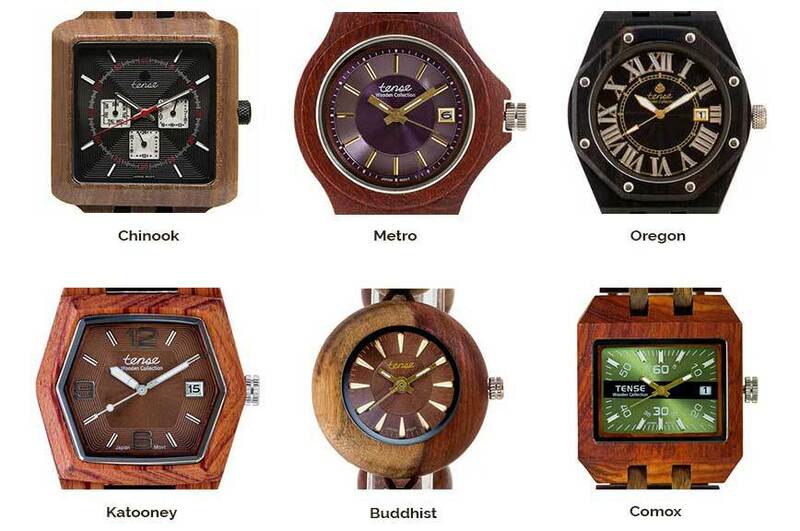 All of their watches feature this simple design with slight variations such as the wood, hand color and dial markings. Considering the simplicity of the design, we feel that the watches are a bit overpriced with some being close to $200. The warranty itself is only 30 days which leaves questions about the quality as well. They are relatively cheap with a typical price tag under $30 and are extremely common on online marketplaces like Amazon and Ebay. Popularity and design range – check and check. It’s on quality where Bewell stumble. It seems to be a hit and miss with this brand. Some users report good watch integrity while others have complaints straight out of the box. Overall though, we feel that the price justifies the mediocre quality. Bewell deserves to be the number 1 go to brand for those on a budget and they feature a plethora of designs that are sure to appeal to casual (or gift buying) watch lovers. These watches are super minamalistic and you will be hard pressed to find any similar design across other wood watch brands. 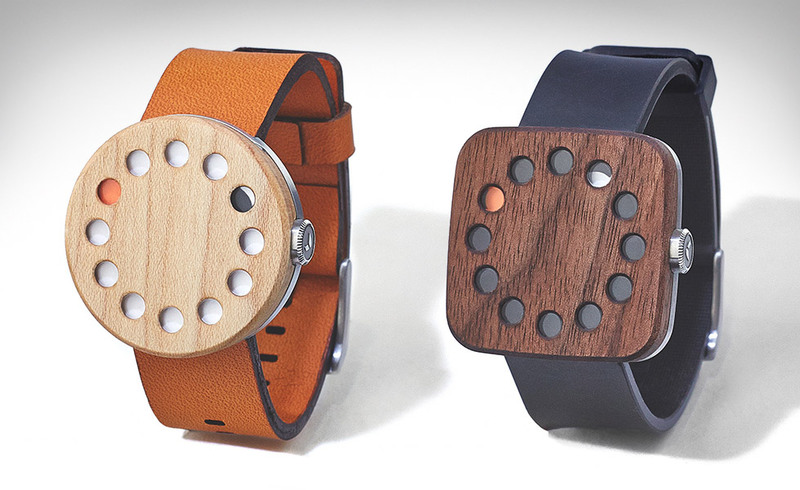 Perhaps the most unique element is a worlds first use of soft and bendable wood used as the watch straps which are crafted by expert Amish Leathersmiths in Lancester, Pennsylvania. Established in 2009, Grovemade manufacture their watches – amongst a plethora of other products – in Portland, USA. They only offer two watch designs but we can assuredly conclude that they are one of the most unique timepieces you can buy. The two watches are about as analogue as you can get (except for the clockwork of course). Such a minimalist and true-to-nature design is enough to place Grovemade on this list.